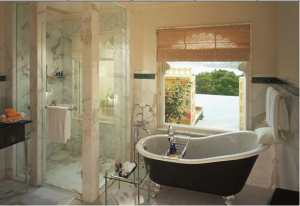 The Oberoi at Udaivillas is one of the coolest resorts in the world. It’s a beautiful blend of the past with the present. Frankly speaking, words just fail me with this one. A beautiful wedding, a perfect location and an attractive arrangement is what every couple dreams on their wedding day. If you are looking for the same, check out these beautiful wedding decors and table settings.